Maher, P. (2014). Proteasome Assay in Cell Lysates. Bio-protocol 4(2): e1028. DOI: 10.21769/BioProtoc.1028. The ubiquitin-proteasome system (UPS) mediates the majority of the proteolysis seen in the cytoplasm and nucleus of mammalian cells. As such it plays an important role in the regulation of a variety of physiological and pathophysiological processes including tumorigenesis, inflammation and cell death (Ciechanover, 2005; Kisselev and Goldberg, 2001). 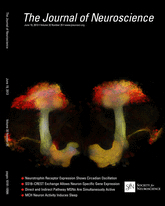 A number of recent studies have shown that proteasome activity is decreased in a variety of neurological disorders including Parkinson's disease, Alzheimer's disease, amyotrophic lateral sclerosis and stroke as well as during normal aging (Chung et al., 2001; Ciechanover and Brundin, 2003; Betarbet et al., 2005). This decrease in proteasome activity is thought to play a critical role in the accumulation of abnormal and oxidized proteins. Protein clearance by the UPS involves two sequential reactions. The first is the tagging of protein lysine residues with ubiquitin (Ub) and the second is the subsequent degradation of the tagged proteins by the proteasome. We herein describe an assay for the second of these two reactions (Valera et al., 2013). This assay uses fluorogenic substrates for each of the three activities of the proteasome: chymotrypsin-like activity, trypsin-like activity and caspase-like activity. Cleavage of the fluorophore from the substrate by the proteasome results in fluorescence that can be detected with a fluorescent plate reader. Rinse cells in 60 mm dishes 2 times with ice cold PBS. Scrape cells using a rubber policeman or other type of cell scraper into 400 µl lysis buffer, transfer to a 1.7 ml microcentrifuge tube and place on ice. Sonicate for 10 sec using microtip set on ~2. Centrifuge at 16,000 x g for 10 min at 4 °C. Transfer supernatant to a fresh 1.7 ml microcentrifuge tube (can store at -70 °C until use in assay). Prepare assay buffer (make up more than you need; e.g. if you need 3 ml, make 3.5 ml). Add proteasome substrates to assay buffer (2.5 µl/sample; 100 µM final concentration) (make up slightly more than you need; e.g. if you have 12 samples, make up enough for 13). Put 2 x 200 µl aliquots of assay buffer with substrate into 2 wells of a black walled 96 well plate for each sample. Add 50 µl cell lysate to each well (include 2 wells with lysis buffer with no cells as assay blanks). Incubate 60 min at 37 °C in order to allow the cleavage of the fluorophore from the proteasome substrate. Read A360ex/A460em on fluorescent plate reader. Normalize to protein determined with the Coomassie Protein Assay following the manufacturer’s instructions for a microplate reader and using 5 µl of lysate. This protocol was adapted from Valera et al. (2013). The research was supported by grants from NIH (RO1AG035055), the Fritz B. Burns Foundation and the Alzheimer’s Association. Betarbet, R., Sherer, T. B. and Greenamyre, J. T. (2005). Ubiquitin-proteasome system and Parkinson's diseases. Exp Neurol 191 Suppl 1: S17-27. Chung, K. K., Dawson, V. L. and Dawson, T. M. (2001). The role of the ubiquitin-proteasomal pathway in Parkinson's disease and other neurodegenerative disorders. Trends Neurosci 24(11 Suppl): S7-14. Ciechanover, A. (2005). Proteolysis: from the lysosome to ubiquitin and the proteasome. Nat Rev Mol Cell Biol 6(1): 79-87. Ciechanover, A. and Brundin, P. (2003). The ubiquitin proteasome system in neurodegenerative diseases: sometimes the chicken, sometimes the egg. Neuron 40(2): 427-446. Kisselev, A. F. and Goldberg, A. L. (2001). Proteasome inhibitors: from research tools to drug candidates. Chem Biol 8(8): 739-758.